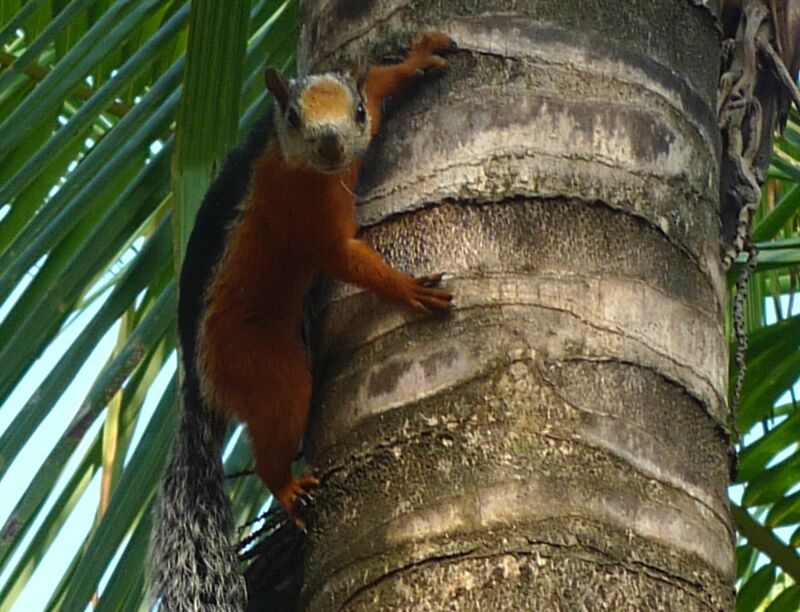 Many of my posts from 2012 featured encounters with nature from my life of total immersion in Costa Rica’s dry rain forest. The howler monkeys taught me the nuances of their communications; the trusting little ones often scampered down the tree limbs to get a closer glimpse at the strange two-legged creature that sometimes spoke their language! See more of that story here: Howler 101 – Cultural Immersion. Living also in Ecuador, I have experienced close-up and personal views of wildlife along the banks of a lazy river. 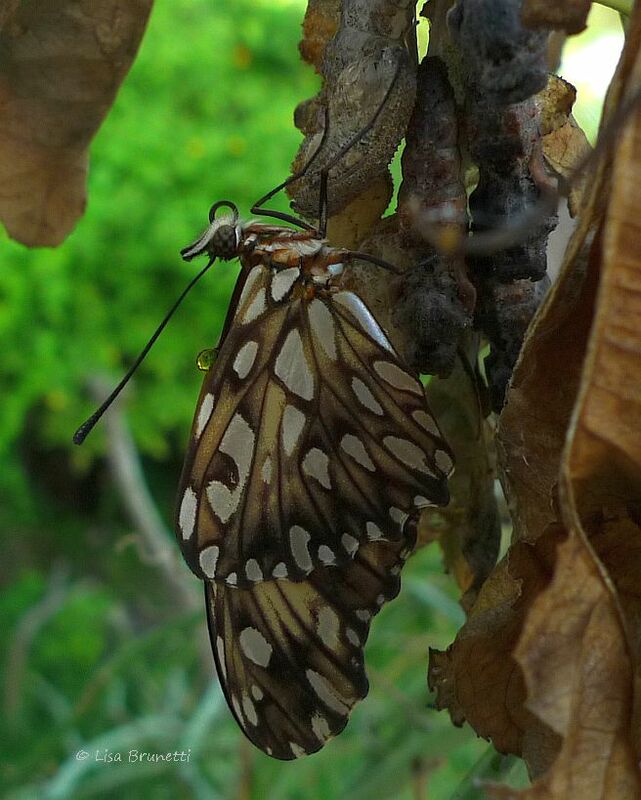 Although the caterpillars defoliated the passion-fruit vines, witnessing this chrysalis was worth losing the crop! For more images of the chrysalis, see Metamorposis. 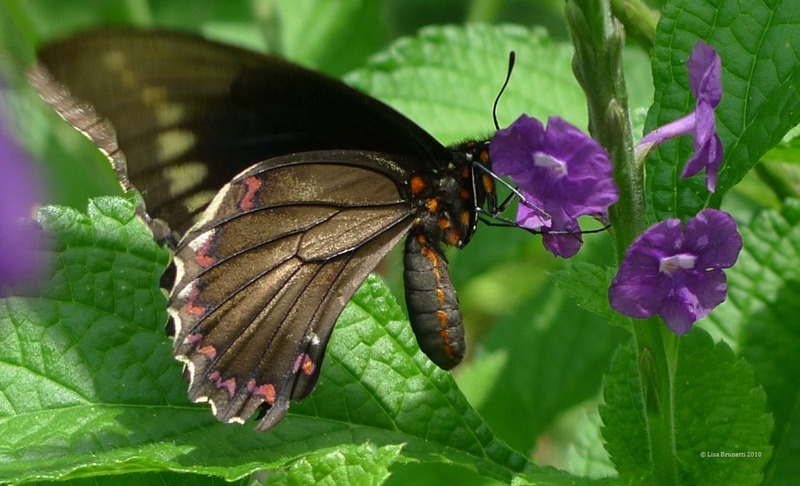 My Costa Rica gardens provided a year-round oasis for flora and fauna. I’ve often said that my life along the Mississippi River prepped me for Costa Rica, and my life in Costa Rica prepped me for Ecuador! This foliage thief nibbled himself too fat to squeeze back through the fence! (Ecuador) He seemed shocked that I gently clipped him loose then set him free! Exploring the beach always rewards an early riser, and the next images were featured HERE in Let’s Be Wild: Texture. I almost dropped my camera when I realized what the hermit crab was wearing! 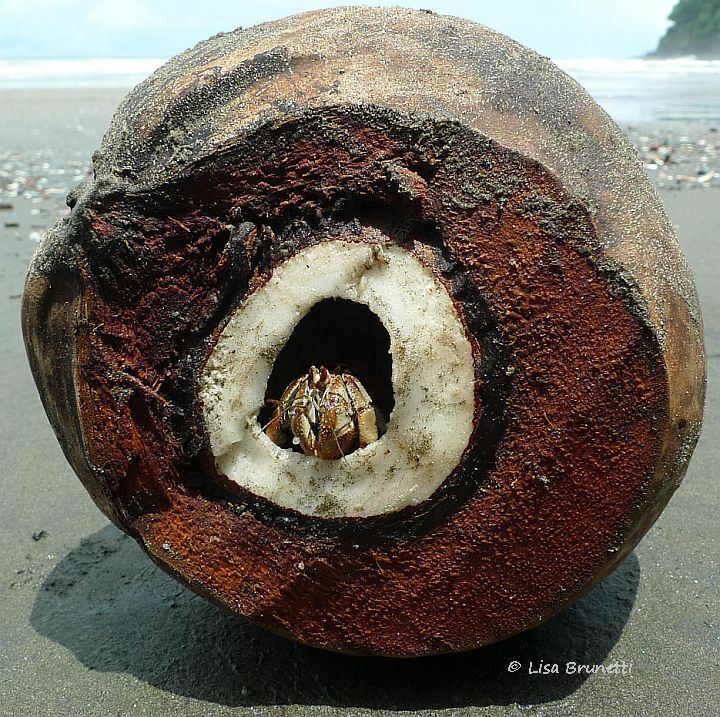 So I am forever peering into coconuts in search of treasures! At times, my obsession pays off! Many posts reflect my love not only for the howlers, but also for the olive ridley sea turtles. See O Oh, Olive Ridley to see a nesting turtle as well as the tiny tortugitas scuttling to the ocean! 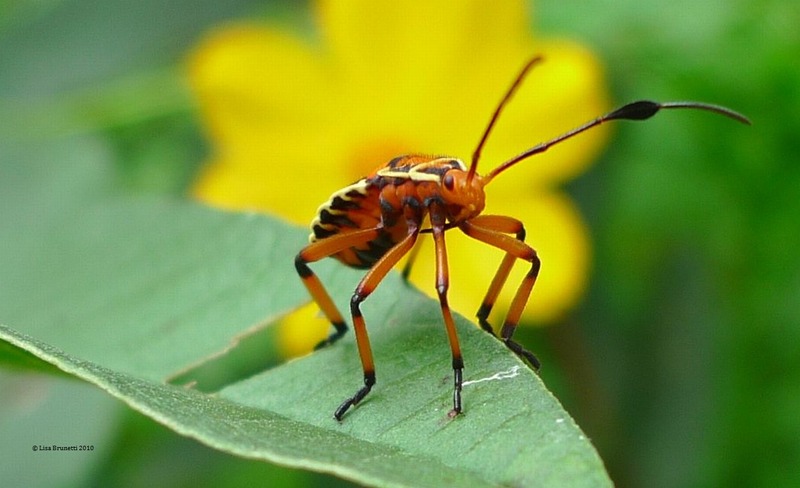 See more insect images on Peer Closer Through Macro Photography. 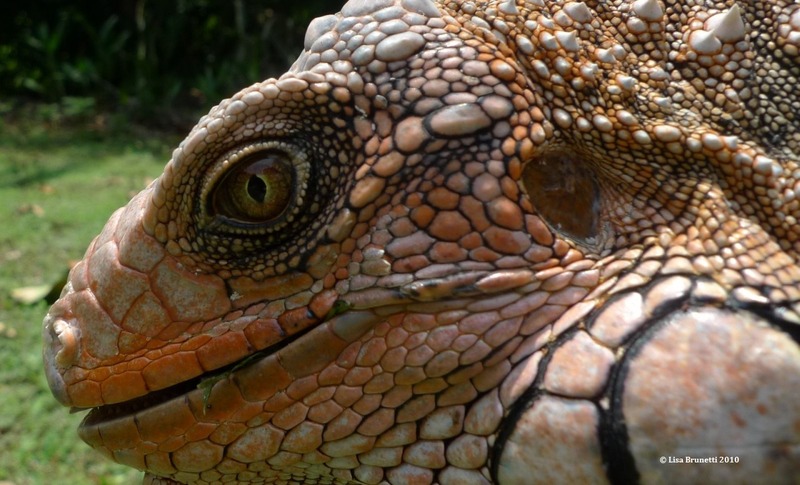 Please visit Alex’s Scientific American post ‘Show Us Your Best ScienceNature Images‘ HERE. Thanks, Stephen and Alex! I enjoyed a glance back at some of my favorite critters from 2012 archives! Worthy of National Geographic. Love that little howler and the squirrel each showing curiosity or its stand down stare. Love your photos. I’m still wondering about the ‘dry rain forest of Costa Rica.’ Is that a contradiction, or was it simply the dry season? hey, thanks for your comment! the dry rain forest has two seasons.. the wet one and the dry one… costa rica’s rainy season starts slowly in May and June and gets more intense when the hurricanes start barreling through the Caribbean. The hurricanes pull moisture across Central America, and September and October can be pretty brutal! I remember one year when we received fifty inches of rain in three weeks! I learned a year later (before reliable internet was in place) that a hurricane had stalled for about a week over the the Yucatan area – or a bit south of there. By December, the clouds turn off their taps, and Costa Rica basically gets no rain during January, February and March. Easter is usually when the first shower hits the parched landscape. Ecuador’s rainy season has just started, and we have received very little rain for the past six months. February is usually a very wet month, but we’ve had gentle rains for the past week. Ecuador has more cloud cover and cooler temperatures (Humbolt Current), so the climate isn’t quite so arid. During the dry season, many trees drop their leaves and go into a dormant period until the first rains transform the landscape. Areas along streams and rivers and estuaries stay green year round. Of course there’s an abundance of wildlife along those green areas. you are too great, amiga! thank you! I’ll put you in charge of PR! and i wondered if either of you will be addressing that! What a wonderful world, and lucky you who lives in the midts of all this richness. So nice. Wow! This is indeed the best of nature! Such a gift to see Nature like this and you share it with us! thanks! As always, great photos but I like the little howler the best. That’s a good survey of your tropical year. It’s wonderful what you can find in a coconut shell; too bad those trees don’t grow in central Texas. It would be nice if we had an ocean here, too (the closest thing is the Gulf of Mexico 200 miles away from Austin). Happy 2013.
yes, i love to retrieve the shells and (click) see (click)… what (click) comes out! 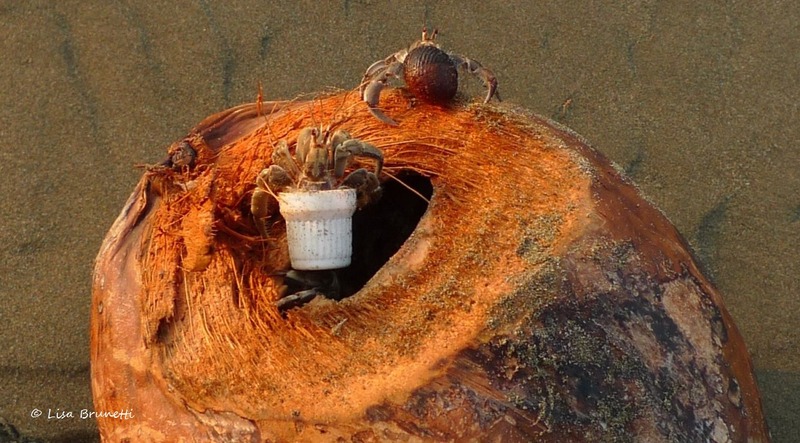 Hermit crabs are wonderful. Used to spend hours playing with them as a child. Isn’t it great that in one of your posts you can scare me half to death with your wildlife photos and, then, in this one I can think “Oh how sweet and cute every creature is!”? ha ha HA! I’m glad this one was easier on your psyche! thanks, and yes, hermits are wonderful! love all the photos…I agree with Gemma, you need to publish !! I love your posts. With your eye for color I can see why you love living where you do! thanks; the monochromatic landscape of winter is pleasing and soothing, especially with a fresh blanket of snow.. but i certainly love splashes of color from all directions! Wonderful! and I wish you a very Happy New Year, may it bring joy, peace, happiness and more creative success. thank you! I hope that the new year is equally kind and giving to you! These are super cool pictures! I love the grasshopper (is it? ), the hermit-crabs and obviously still and always the baby turtle! ha! awesome treat you just gave us! thanks! Love this post and thanks for the link! Hugs my dear! Absolutely wonderful every one of them! Lucky you-this is really 2012 best of nature! 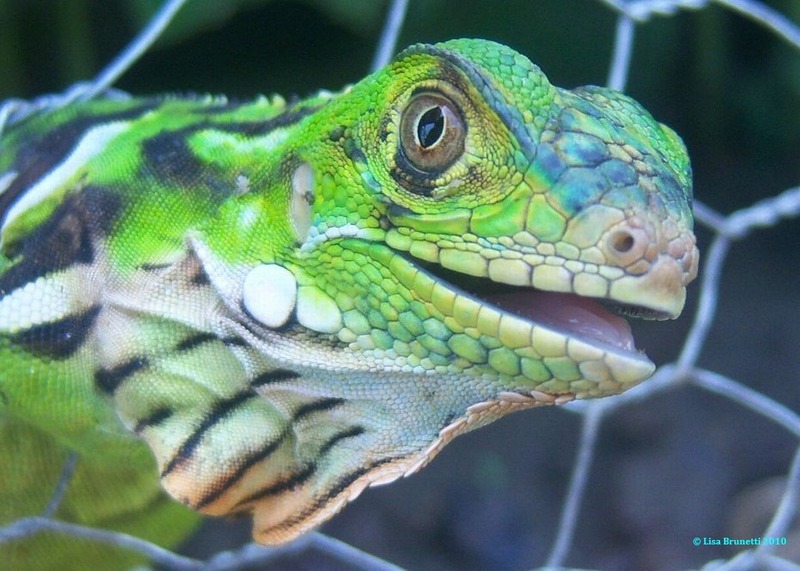 Butterflies, monkeys, lizards – all colourful and so much alive. Just like you! I love that you share all the beauty you see with us zee. The photos of the butterflies are amazing. 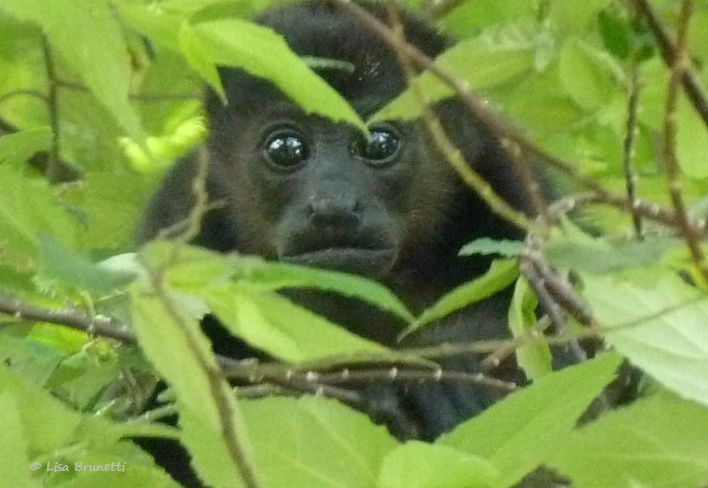 And I love the howler monkey peering through the leaves. Your shots are simply amazing. Hi, hope you don’t mind my linking this post to my post today about nature. Thanks! of course i do not mind! thank you so much, and i loved visiting the other sites. what a great immersion in nature you gave us!